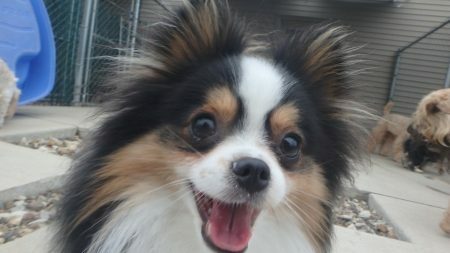 Miko B (Pomeranian) hams it up for the camera. Little dog…big happy face! Miko B (Pomeranian) hams it up for the camera. Miko is a frequent boarding dog and while he misses his parents while they are away, he wants them to know he is happy and has fun staying at Camp Sunny.